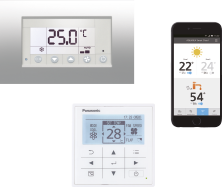 Background: Panasonic partnered with Cool Planet, the renewable energy design and installation arm of British Gas, to deliver an industry-leading, eco heating solution for the BASF House, part of the ground-breaking Creative Energy Homes Project at the University of Nottingham. 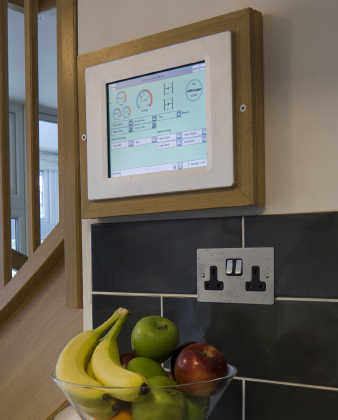 Project Challenge: The aim of the Creative Homes Project is to demonstrate compliance with the Code for Sustainable Homes using low energy principles from the PassivHaus standard. 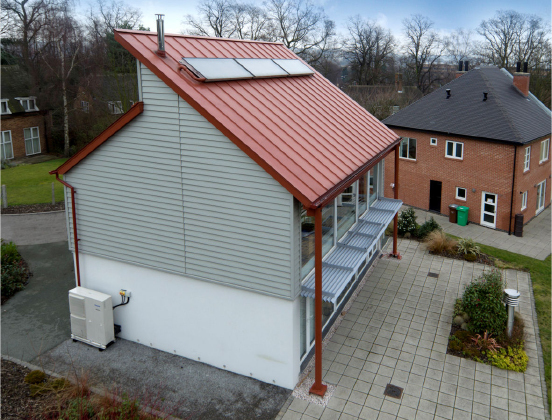 As one of seven homes constructed on Green Close, near Nottingham University’s Department of the Built Environment, the BASF House allows assessment of various low carbon and renewable energy technologies, providing the University with invaluable performance data. 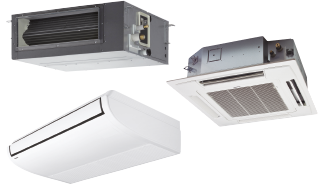 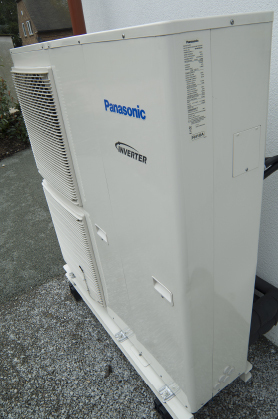 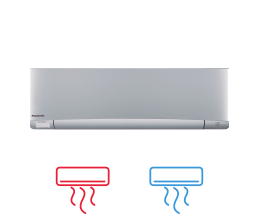 Solution: Cool Planet has retrofitted Panasonic’s pioneering Aquarea 9kW air-to-water heat pump technology at this showcase home for housing innovation and energy efficient design. 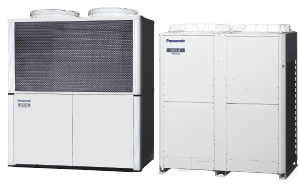 Building Energy analysis: The Aquarea unit is proving itself an efficient performer. 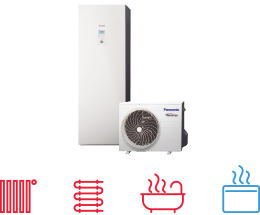 It serves the 2-storey dwelling’s wet radiator system and is capable of raising the water temperature within the hot water cylinder from 27’C (typical overnight standing temperature) up to 43’C (typical acceptable hot water temperature) within 1 hour.